As introduced a few months ago, our lab (with indispensable help again from Ashley Vater) taught a new research-based freshman seminar course. The impetus for this course was one that we ran last year, testing if Swabs to Genomes was possible in a 10-week quarter. Given the complexity and expense of the genome sequencing, we wanted to design a course that would avoid that portion but still get at most of the important topics and techniques. Our chosen model system was the koala poop microbiome, as discussed in our introductory post. Student blogs from the quarter can be found here, describing each week of the course. As with last time, we have made all the course materials available online… everything from the lab notebooks (names removed) to the syllabus and protocols. A few things were different this quarter, instead of two instructors we had three instructors and two TAs… for only 15 students! Having run a similar course before, and having removed the genome sequencing component we figured that we would have smooth sailing. Like that ever happens in research. Having so many hands on deck was actually a mixed blessing, on the one hand it was awesome to divide up the work so many ways but on the other hand there was a problem with diffusion of responsibility. This resulted in more last minute “what are we doing tomorrow?” meetings than with fewer instructors. 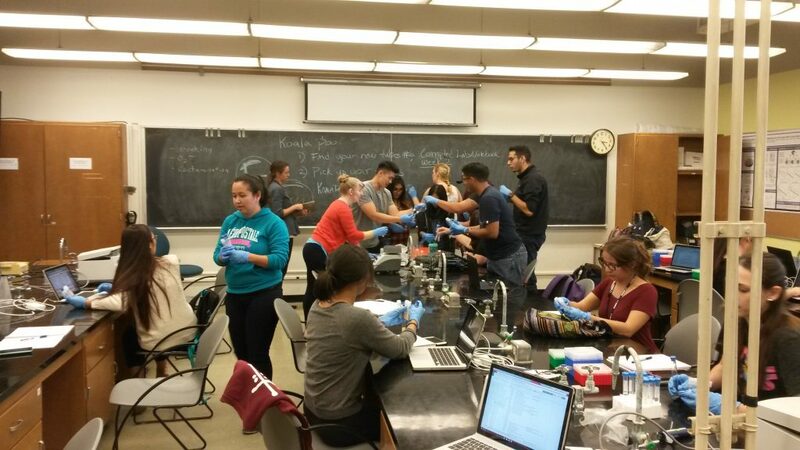 In the end, this class was much much cheaper than the Swabs to Genomes class… but was not as much less work as we had hoped. 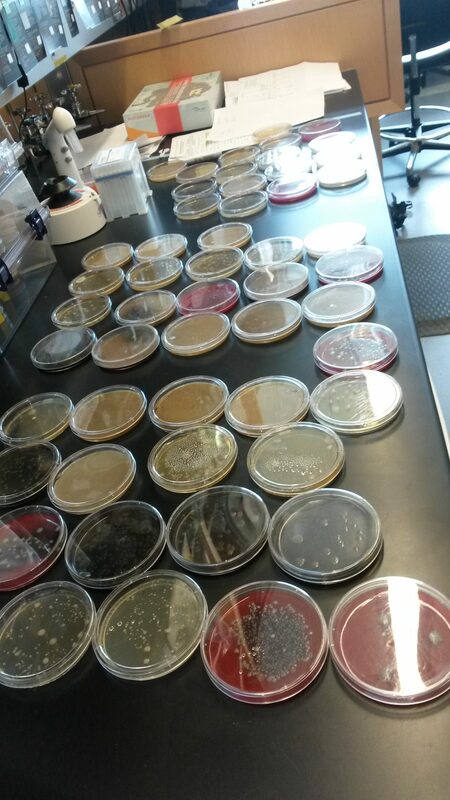 Partly that’s because we scaled up the number of isolates, we started with around 100 isolates. But also the usual problems reared their head… contaminated cultures, problem with PCR, lack of appropriate equipment (we literally had a gel box fire out lightning and then die). We were able to power through all of those problems and still keep on track… but only through a lot of work behind the scenes. I think this is not ideal and doesn’t convey the way typical lab research goes. I think a class like this would be much better if it met more often and for longer (allowing the students to actually do all the work) and/or to have an “open lab” where students could come in at other times and repeat experiments. I think the students had a good time and learned a lot, I know the instructors did! We’ll keep plugging away at this model and will keep posting our course materials hoping that they will be of use to someone out there.